As the UK's best-selling Japanese car tuning publication, Banzai is packed full of the best show, daily-driven and performance-orientated Japanese vehicles from all over the world. Reflecting the diversity and stylish attitude of the Japanese tuning scene, each issue follows the continually evolving world of Japanese car tuning, modifying and the JDM lifestyle and culture. 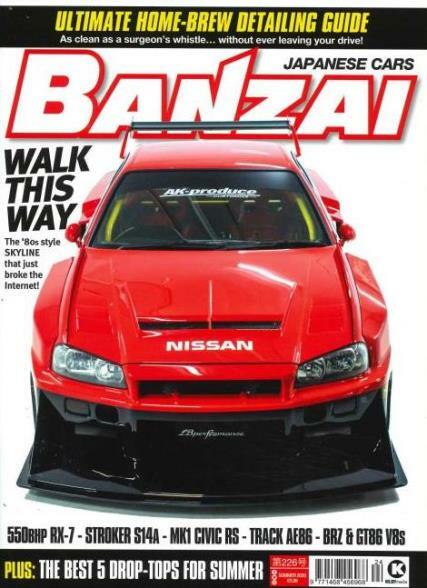 With ground-breaking photography, exciting and slick editorial, Banzai features comprehensive show reports, informative, interesting and above all fun-to-read features from all four corners of the globe – making it the most-advanced, well-rounded and entertaining Japanese car tuning magazine on the shelves.